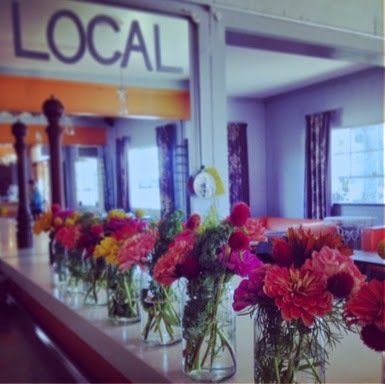 Love local? Want somewhere to get it even now that most farmer's markets are winding down? Then you need to head to Sugar + Olives in Norwalk, CT because starting Friday, November 7th from 3pm to 7pm they are hosting a Friday farmer's market. You got that right. 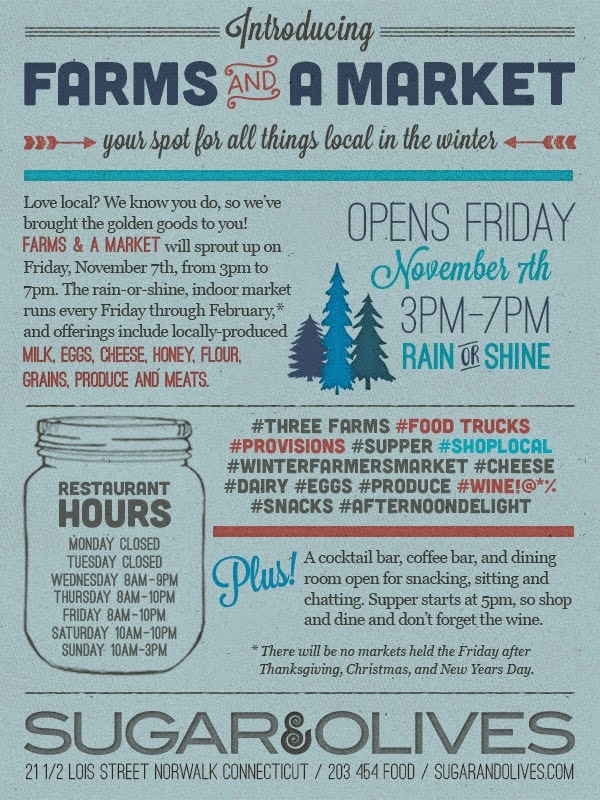 Sugar + Olives "Farm + A Market" will run Fridays through February from 3pm to 7pm. Note: There will be no markets held the Friday after Thanksgiving, Christmas, and New Years Day. They have brought together a group of farmers who sell what they grow, practice non-GMO and maintain organic standards if they are not ￼certified. Oh, and yes, this is an indoor market, so it'll happen rain or shine, snow, sleet or blizzard! Offerings will include locally produced milk, eggs, cheese, honey, flour, grains, produce and mat please lots of other goodies. An update will be posted each Friday morning so folks can know who to expect and who might be a surprise vendor. The market will showcase the bounty available during the winter months here in CT and over the line in NY. Even cooler, some favorite food trucks have been invited to serve up their goodies right outside! Plus, the Sugar + Olives cocktail bar, coffee bar and dining room will be open for sitting, chatting and, of course, snacking. Supper starts at 5pm so shop and dine and don’t forget the wine.